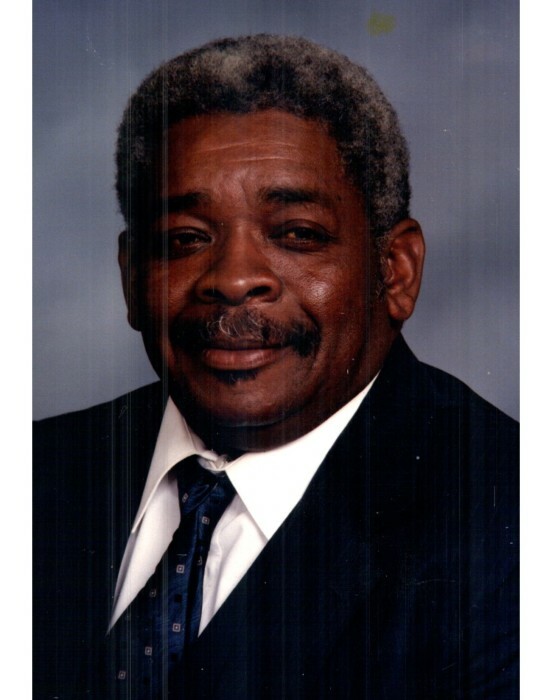 A homegoing celebration for Clarence Chester of Tampa, FL who passed away on Sunday, September 9, 2018, 11:00 a.m. at Aikens Funeral Home, 2708 E. Dr. Martin Luther King Jr. Blvd., Rev. Jimmy Horton, officiating. The interment will be in Lang Cemetery.Clarence Chester was born to Willie and Julia Chester on July 29, 1941 in Brooksville, Florida. He was the fourth child in a family of ten children. The Chester family relocated to Tampa shortly after his birth. Clarence attended Middleton High School, where he played football and baseball. Soon, he began excelling in baseball, and he quickly gained a reputation as the star catcher. Clarence graduated from Middleton High School in 1960. At an early age, Clarence joined St Matthew Missionary Baptist church and started serving on the Number 1 Usher Board. He worked various jobs upon graduating from high school but spent the bulk of his career with Marriott Catering at Tampa International Airport. Due to health issues, he retired in 2004 after 38 years of dedicated service. In a very talkative family, Clarence was the quiet one. However, he was always a willing participant in all the family reunions, holiday get-togethers, and birthday celebrations. Armed with a smile, Clarence always had a kind word for anyone who approached him. His love of baseball allowed him to become an assistant coach on the 1975 Belmont Heights baseball team. With his guidance, the team went to the Little League World Series. This experience was one of Clarence’s happiest memories. He also loved bowling, softball and boxing. He enjoyed watching boxing matches on TV with his brothers. Clarence’s love of food was legendary within the family. He and his cousin, Calvin, were well-known at the Tampa Golden Corral and the Ruskin Kentucky Fried Chicken buffets. Business will suffer! His parents, Willie and Julia Chester, sister Betty Lynn, and brother Carl Chester preceded Clarence in death. Clarence leaves to cherish his memories his brothers: Willie Chester (Betty), Robert Chester (Ethel), and Earnest Chester Sr (Karen); sisters: Shirley Thomas, Dorothy Franklin, Delphine Motley (Jack), and Barbara Smith (Roderick); aunts: Vera Chester, Gladys Chester, and Charlotte Chester; nieces: Porshia Chester, Jamessa Clark (Howard), Gale Philson, Chevelle Lynn, Valerie Jenkins (Harold), Tammy N’uman (Daab), Stephanie Brown (Cory), Deborah Thomas, and Michelle Lynn; nephews: Earnest Chester Jr (Maisha), Reginald Chester (Deborah), Ezekiel Thomas Jr., Ferris Morgan (Lisa), Daryl Motley (Yvette), Allen Lynn (Clara), Kairi Coleman, and Khalid Coleman; his favorite running partner Calvin Lawson, and a host of cousins, grand nieces, grand nephews, other family members, and friends. The visitation will be held at Aikens Funeral Home on Tuesday, September 18th, from 5 to 7 p.m. The family will receive friends from 5 to 6 p.m. The family and friends are asked to meet at the chapel on Wednesday for the service.